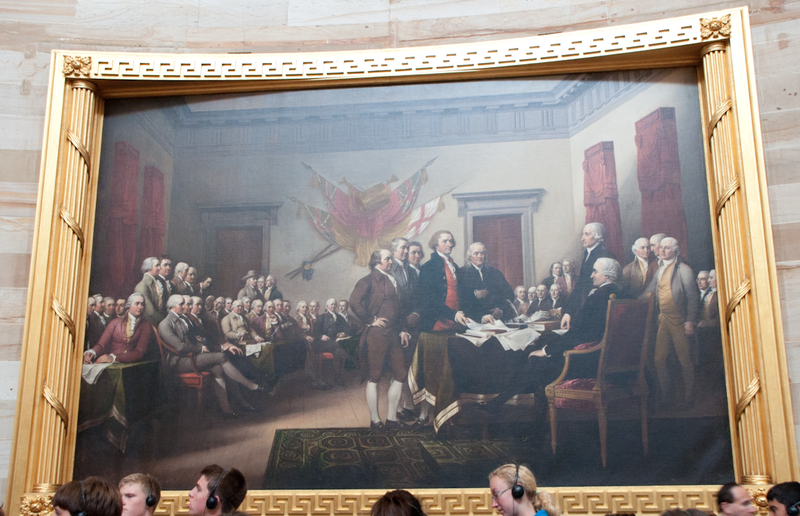 U.S. Capitol Tour ~ Learn, Live, and Explore! Whenever I have visitors, I love to take them to the major sites in D.C. One must-see site is, obviously, the U.S. Capitol. 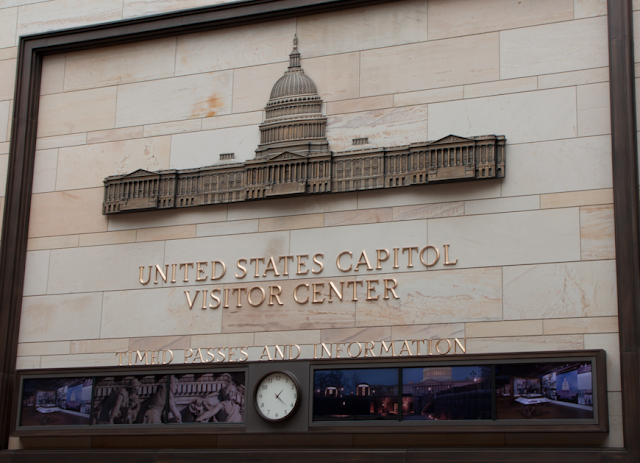 Simply visiting the $650 million U.S. Capitol Visitor Center, you can gain access to the building and take one of the tours provided by the Capitol Red Coat tour guides. As an alternative, tourists can contact their local Senator or Representative's office and request a tour from someone on their staff or one of their interns. While asking for a tour, you should also remember to ask for White House tickets too! During busy season, though, you will have to request those White House tickets many months in advance; and even then, you may not get a ticket. An advantage of living in D.C. is that inevitably you will have at least one friend that works on the the hill who may be able to help you gain access as well. I am fortunate to have some very generous friends that have helped me out with tickets several times since I've lived here, so here's where I send a huge thank you to them again!! Today in particular, my friend arranged for me a private tour of the Capitol for my Grandma, who was amazed by all of the special attention she received - definitely a great memory for her to take home! 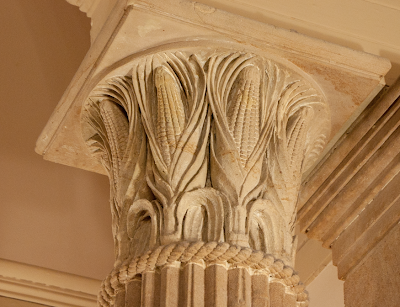 For more information on the history of the Capitol's construction, major events that have impacted the Capitol (e.g. set ablaze by the British in the War of 1812, continuing construction of the dome during the Civil War, etc. 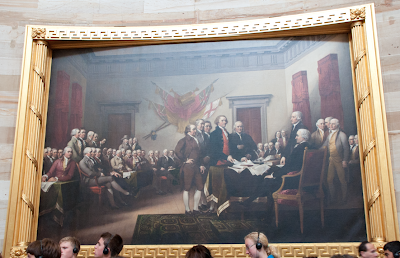 ), and other factoids, visit the website for the Architect of the Capitol. This will give you a great background before your tour, especially since the crowds may make it difficult to hear everything your guide says. 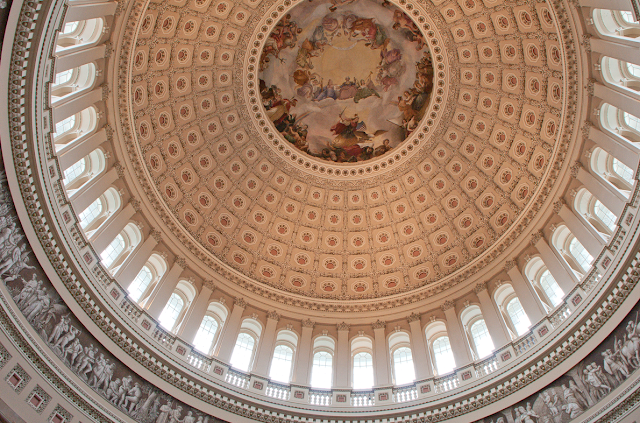 On the typical U.S. Capitol the major sites you will see are the Crypt, Rotunda, Old Supreme Court Chamber, Old Senate Chamber, and Old Hall of the House now the National Statuary Hall. 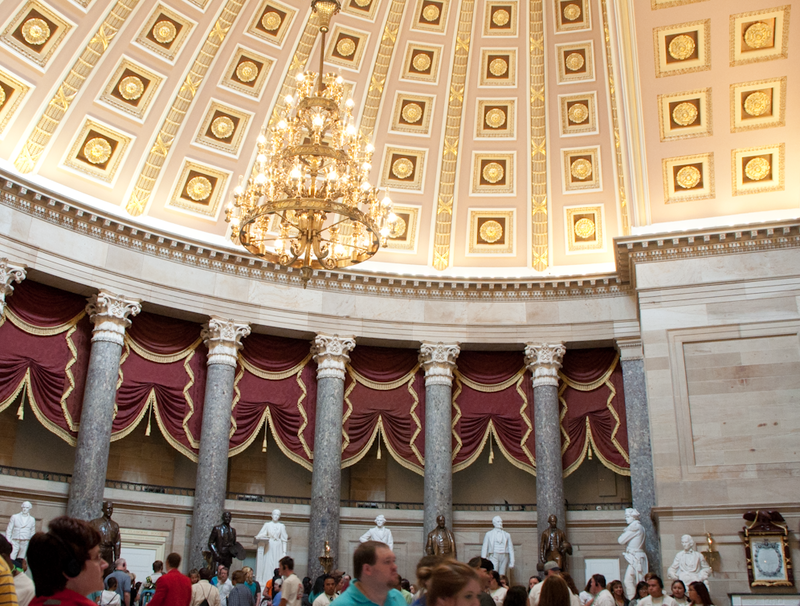 If you want to visit the House or Senate Galleries to observe lawmakers in action, you must arrange for tickets from your local Senator and Representative's offices. Here's a brief overview of the tour stops, with links to the Architect of the Capitol's more extensive descriptions, followed by some of my favorite neat discoveries we experienced on our tour today! The Capitol Crypt is on the first floor of the Capitol and is directly beneath the popular Rotunda and its Capitol Dome. This used to be the Visitors Center before the new one was opened in 2008. 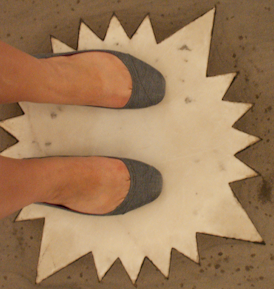 Here, you can stand on a marble star that is the direct center of the Capitol building. All of the marble columns and arches surrounding the star are placed specifically to support and distribute the weight of the massive dome above. The Old Supreme Court Chamber was the home of our highest court from 1810-1860. 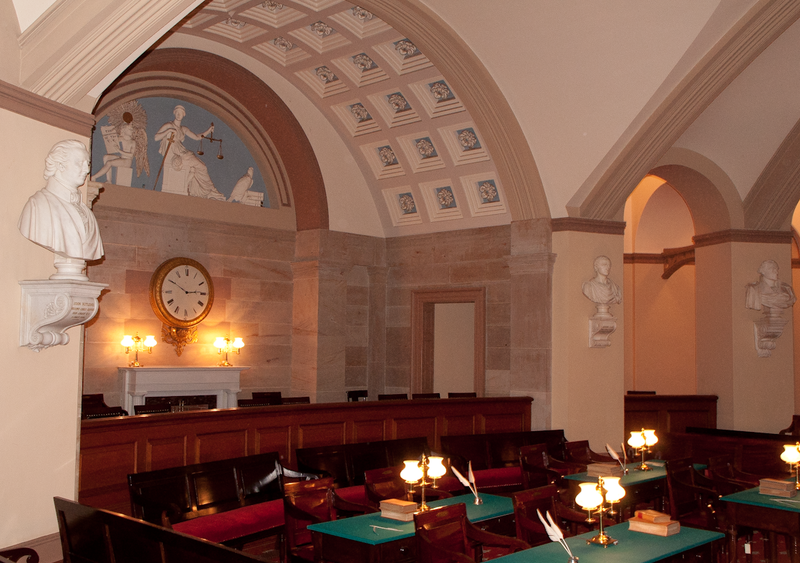 On the rear wall, in plaster relief, are Lady Justice with her scales (no blindfold), a young angel holding a copy of the U.S. Constitution representing a young United States, and an eagle guarding books of written laws. 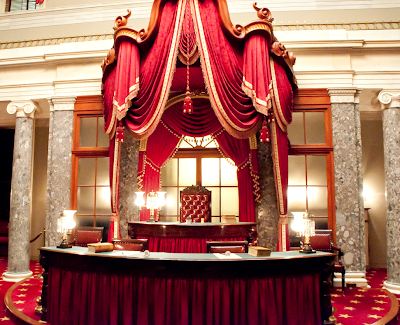 After 1860, the Supreme Court moved into The Old Senate Chamber once the Senate outgrew the space and moved into their current Chamber. 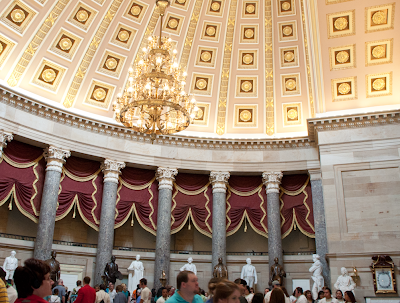 The Rotunda is a popular stop on the tour because there is so much to learn about its history. Finished in 1863 during the American Civil War, it was Lincoln's decision to complete its construction as a symbol of the inevitable survival of the Union. Besides the amazing architecture of the dome, itself, I was particularly enraptured by the frescoed frieze, below the bottom set of windows, that depicts the history of the United States from Christopher Columbus through the Wright Brothers. A painting technique was used to give the illusion that the frieze is three dimensional, what I think may be considered a trompe d'oeil because it certainly tricked my eye. If you're a fan of Where's Waldo?, you'll appreciate the fact that the original artist, before he died, painted himself somewhere in his completed section, and his apprentice followed suit in his section of the circular panel. The Old Hall of the House became the National Statuary Hall in 1857 when the House moved to its current location. 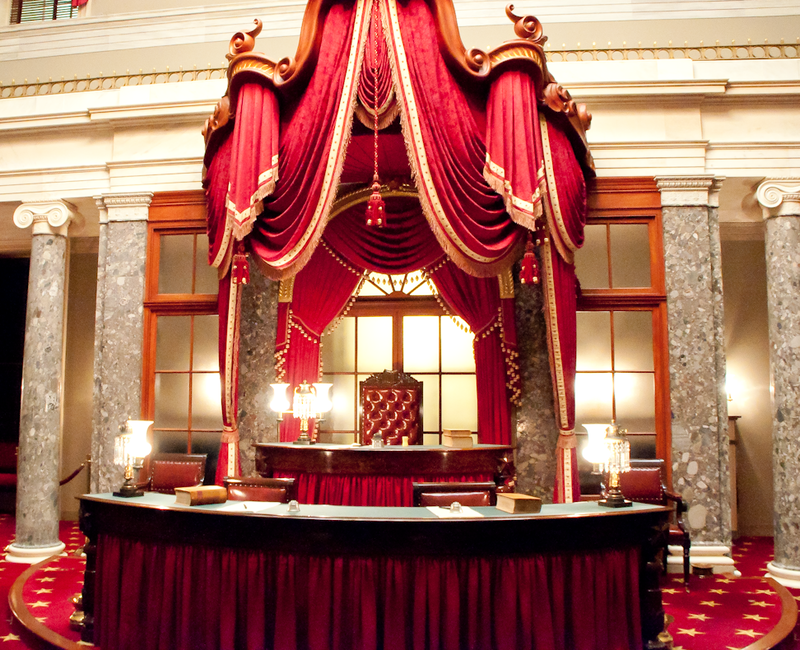 If you look at the floor, you will see brass plates that mark the spots where former Presidents sat while serving in the House of Representatives - like Abe Lincoln and John Quincy Adams. The dome also creates some interesting acoustic effects that allow you to hear a whisper from across the room if the speaker and listener are standing in just the right spots, which is why this room is also called the Whispering Hall. This room is home to several statues that are part of the National Statuary program, where each state can contribute two statues of individual citizens who represent state history or extraordinary achievement. This was my favorite room! We also got to view both a session of the House and of the Senate. I can't say much about the experience, though, because not many members showed up today. On the House side, we did get to see the morning opening to the session tradition. Then a few Republicans read to the Speaker, and for the record, anything from views of Obama's recent immigration leniency decision to congratulations for outstanding constituent accomplishments. In the Senate Chamber, it was very slow, with only one Democrat Senator present, discussing a Farm Bill. OK, so the boring (but interesting to me) stuff is finished. Now on to four little known facts that were introduced to us by our personal guide! 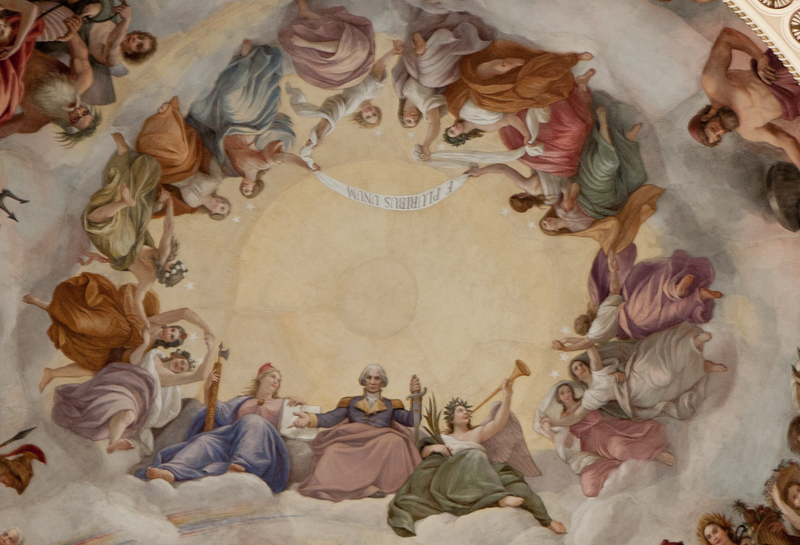 The fresco at the top of the Capitol Dome is titled The Apotheosis of Washington and illustrates George Washington as he rises to heaven, flanked by Liberty and Victory, surrounded by thirteen maidens representing the original thirteen colonies. Way to go George! A ladies man! The corn carvings atop columns near the Old Supreme Court Chamber are original and survived the fire in 1814 set by the British that destroyed nearly all but the outer structure of the U.S. Capitol (and the White House too!). In a painting in the Rotunda of the Signing of the Declaration of Independence, the artist did something funny to symbolize the friendship and strong disagreement shared by Jefferson and Adams. 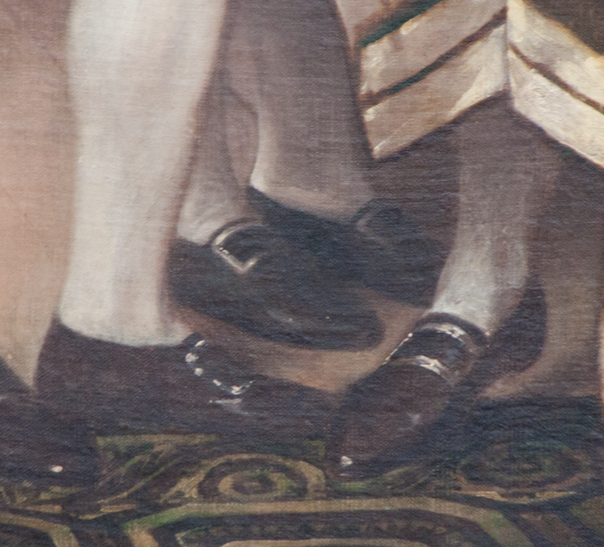 Look closely...Jefferson is stepping on Adam's toes! What is considered one of President Ronald Reagan's most famous quotes comes from a speech he made in 1987 in front of the Brandenburg Gate: "Mr. Gorbachev, tear down this wall!" 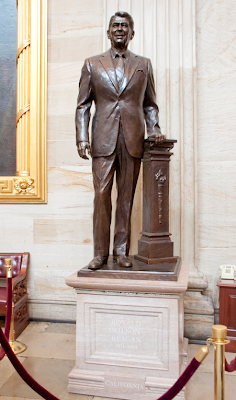 Incorporated into the stand for the bronze statue of Reagan in the National Statuary Hall is a piece of the Berlin Wall.